A good way to give kids some practice with blends is by making them play fun games and activities. ‘What’s My Name?’ is a free English activity to help kids identify and use blends correctly. 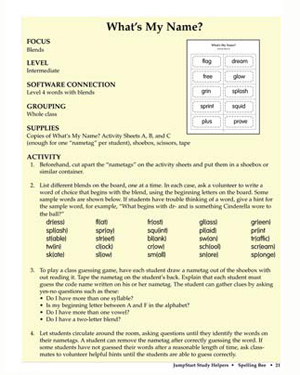 Printable English activities like these are easy to administer in class and make learning more interesting. This fun English game encourages the little ones to think out of the box and guess words by identifying blends.